Born: 20 November 1859, London, England. Arthur M. Tippett, son of Georg F. Tippett, was educated at Brighton College and the Crystal Palace School of Engineering in London. He came to the Cape Colony in 1889 and worked for the British South Africa Company as assistant engineer and district engineer on the extension of the railway line from Kimberley to Vryburg. In 1891 he joined the Cape Government Railways, but two years later became chief engineer for the concessionaires of the Barberton branch railway in the South African Republic (Transvaal). In 1899 he married Elizabeth A. Paton, with whom he had four children. 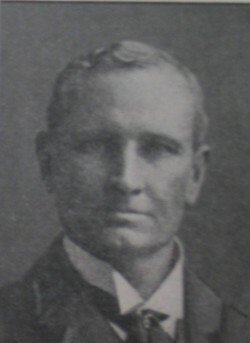 Tippett returned to the Cape Government Railways in February 1899 and worked for them in various capacities, rising to chief resident engineer. During the first few years of the twentieth century he was involved in some 1600 km of new construction. In 1905 he became in addition consulting engineer to De Beers Consolidated Diamond Mines for the extension of the railway from Klerksdorp, Transvaal Colony, to Fourteen Streams in the Cape Colony. He was promoted to assistant engineer-in-chief of the Cape Government Railways in January 1907. In July 1910, shortly after the formation of the Union of South Africa, he was appointed engineer-in-chief of South African Railways and Harbours (SARH) and stationed at headquarters in Johannesburg, a post he held to his retirement around 1920. Among others he wrote the Report of the Board of the South African Railways and Harbours on a proposed line of railway from Prieska to Upington (Cape Town, 1914). In 1920 he drew up plans of additions to the Cape Town terminus of SARH. In 1915, during World War I (1914-1918) he served in the active citizen force. In 1918-1919 he was acting general manager of SARH, during the absence of Sir William Hoy. Tippett was an associate member and by 1913 a member of the (British) Institution of Civil Engineers. He was an early member of the Cape Society of Civil Engineers (founded in 1902), served on its committee from 1905, as joint vice-president for 1906/7, and as president for 1907/8. In 1913 he was joint vice-president of its successor, the South African Society of Civil Engineers. In 1905 he became a member of the British Association for the Advancement of Science. At the joint meeting of this association and its South African counterpart, held in South Africa in 1905, he delivered a paper on "The Cape Government Railways". This paper, or an extended version of it, was published as a booklet (Cape Town, 1905, 71p). Cape of Good Hope. Civil service list, 1905, 1906, 1910. Cape Society of Civil Engineers. Proceedings, 1903-1907, Vol. 1-5; 1909-1910, Vol. 7-8: Lists of members and office bearers. National Automated Archival Information Retrieval System (NAAIRS). . Documents relating to Tippett, Arthur May / Tippett, A.M.